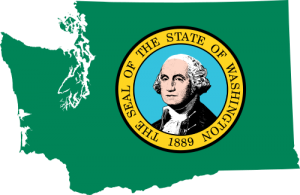 Washington is one of about 22 states that have filed their own occupational safety and health plans with the Department of Labor. This means that Washington has set up the necessary mechanism to administer and police their plan. Under the plan they don’t currently require OSHA safety training for any employees in the state. In Washington State, therefore, the primary driver behind OSHA-Accepted training is the private sector. Many companies recognize the need to improve the safety of their workplace and therefore require their workers to have either basic (OSHA 10-hour safety training), supervisory (OSHA 30-hour training), or specialized (Hazwoper, Confined Entry Space, Fall Protection, etc) training. For some Washington State employers such training isn’t necessary mandatory but does allow for more rapid advancement. The agency that administers the Washington State plan is the Department of Labor and Industries (DL&I), Division of Occupational Safety and Health (DOSH). All of the Online courses you’ll find on our website are OSHA accepted and therefore apply within the State of Washington. OSHA-Pros provides a full complement of OSHA HAZWOPER Training Courses. These include the 24 Hour HAZWOPER Training Course, the 40 Hour HAZWOPER Training Course and the 8 hour OSHA HAZWOPER Annual Refresher Course. 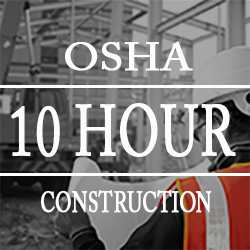 Enroll in the OSHA 10 Hour Construction Training Course Online or the OSHA 10 Hour General Industry Training Course Online by Clicking the appropriate button above and signing up. Price for each course is $89.00 and Includes a FREE PDF Study Guide. Courses result in the Department of Labor OSHA Wallet Card valid in All 50 States. Print your certificate of completion upon successful completion. Your OSHA Wallet Card will be delivered by mail within 6-8 Weeks. 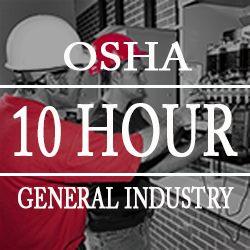 Our OSHA 10 Hour and OSHA 30 Hour Courses are OSHA-Approved and valid in all 50 states. Organizations that have a need to train multiple employees simultaneously, can take advantage of OSHA-Pros Group Rates for on-site instruction. One of our OSHA-Authorized Instructors will travel to your facility to administer the course to all employees. Successful students will obtain their Department of Labor OSHA Wallet Cards upon completion. To schedule your on-site course, please contact us direct (toll-free) at 1-866-265-5813 and speak to one of our friendly customer service schedulers, or you may complete our customer service inquiry form online here to receive a quote for your services if your site is within a 100 mile radius of Seattle, Bellingham, Tacoma, Kennwick, Wenatchee, Vancouver, or Spokane. Looking for OSHA Offices in Washington? Check out our Washington OSHA resources page.